Mr. Escudero’s practice includes advice in structuring commercial transactions, purchase and sale of businesses, as well as corporate reorganizations; he also advises businesses and individuals with regard to the operation, expansion and transfers of their businesses. He counsels individuals on estate planning, wills, trusts and wealth preservation including asset protection trusts. He has worked on numerous green field development of real estate for the establishment of manufacturing facilities. Mr. Escudero was a member of the drafting committees of the 1995 and 2009 General Corporations Law of Puerto Rico and teaches pro bono the Corporations Law and Legal Research and Drafting courses at the University of Puerto Rico School of Law. He served as the Firm’s Managing Partner for twelve years and is Treasurer of McV Consulting, Inc., an affiliate of the Firm engaged in real estate and hospitality advisory services. 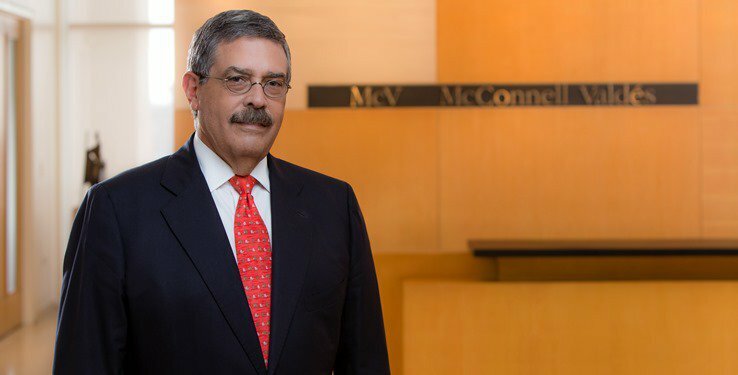 He is ranked as Senior Statesman in the Corporate/Commercial field by the international publication Chambers & Partners in both its Global and its Latin America Guides and is also ranked in the Corporate and M&A Law field of The Best Lawyers in Puerto Rico guide. He is a member of the UPR Law School Trust and the Academia Puertorriqueña de Jurisprudencia y Legislación de Puerto Rico, and chairs the Corporations Law Committee and co-chairs the Trusts Legislation Committee. He is also member of the Board of Directors of the Puerto Rico Community Foundation.